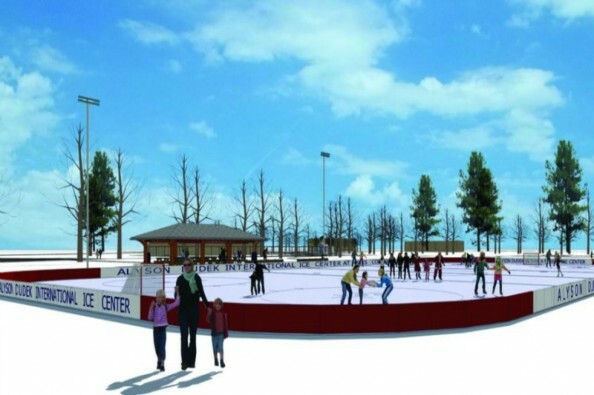 The Friends of Hales Corners Park & Pool are really excited and happy to have Suburban Asphalt as one of our community partners and biggest supporters for the Alyson Dudek International Ice Center and the Jerry and Dorothy Holz Family Shelter projects in Hales Corners Park! Last week's Drink for the Rink fundraising efforts by Suburban Asphalt for the Hales Corners Park & Pool Ice Rink was a success! In total $3,184 will be donated to help make this happen! Thirsty tonight? 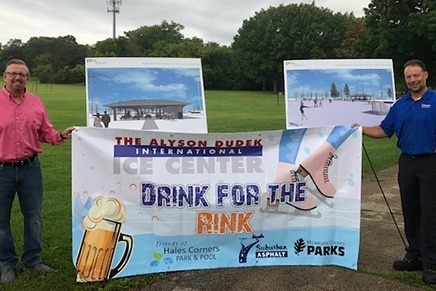 Stop by the Traveling Beer garden in Hales Corners Park and help raise funds for a good cause--building an ice rink and pavilion for the community! Wow! Great news for the Friends of Hales Corners Park & Pool from Suburban Asphalt about the Traveling Beer Garden in Hales Corners Park last night, August 7, 2018! The Friends of Hales Corners Park & Pool are partnering with Milwaukee County Parks to construct a 50'x80' Sand Volleyball Court next to the pool. We need the community to help raise $5,000 to make it happen this summer!